TPI instructor Mark Blackburn recently joined Jason Sutton’s popular podcast, The Golf Guru Show. Jason is a PGA Professional at Carmel CC in Charlotte, NC. He creates a ton of great content through his podcast and social media, demonstrating competence in virtually every circle of golf instruction. 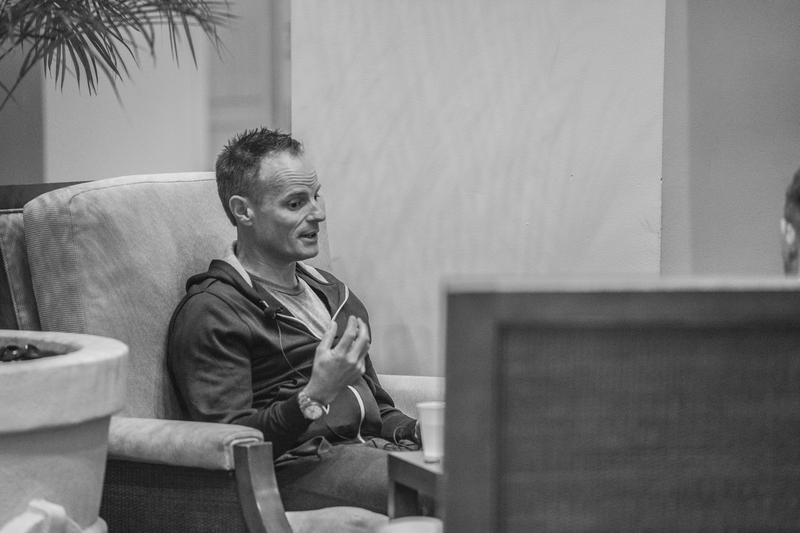 Not surprisingly, he and Mark covered a wide range of topics in their two hour conversation, including how Mark got his start in teaching and his introduction to TPI. Like many teaching professionals, Mark was an outrageously talented player and flirted with a career as a touring pro. An injury and timely introduction to Dave Phillips and Dr. Greg Rose led him to instruction and, as they say, the rest is history. We've embedded the podcast and transcribed some of our favorite segments below. Mark: ​Movement screening isn’t necessarily new, but [TPI] cataloged and referenced it to golf. I'm very passionate that screening is one thing that is really needed when you play golf or you're coaching golf. You need to assess them, understand what they do, how they move, and what their predisposition is. From there, you at least establish a baseline of 'Don't do this,' or 'I should try to work around this,' or 'This is something you actually do really well so I'm gonna embrace this.' And that was kind of the where it started and that's why I still teach the TPI Level 1 seminar today. "For instructors at my academy, the nucleus of a lot things is always looking at how you move. Your movement patterns are gonna predispose anything else." You're always trying to build a golf swing around what people can do as opposed to what they can't do. Once you know that, you have a much better perspective and lens with which to help them... I think that it is a must for anyone. 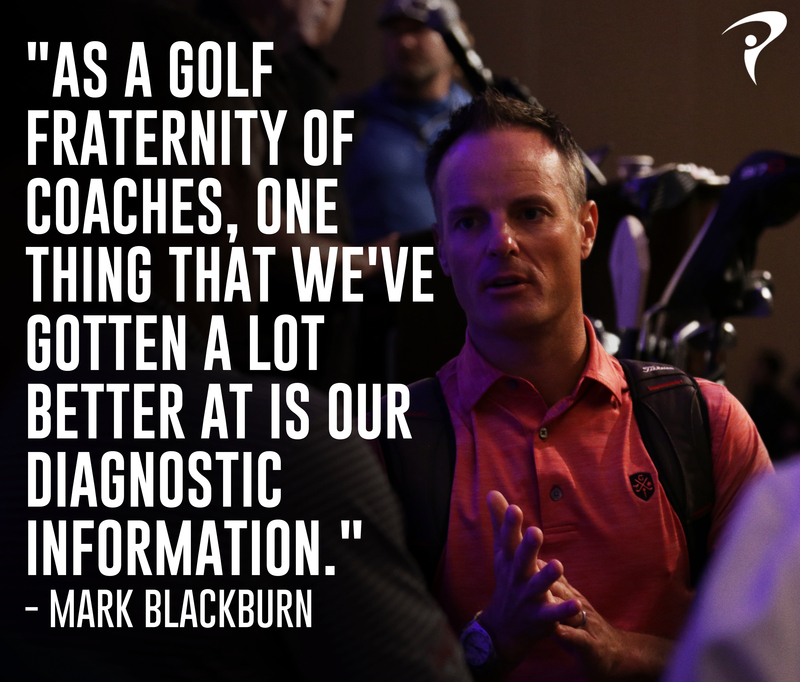 "As a golf fraternity of coaches, one thing I think that we've got a lot better at is our diagnostic information." We always want to give somebody the simplest thing and once you know what they can do, especially the club golfer, it makes your life a lot, lot easier. Jason: ​What are your favorite couple of screens that you go to? Because obviously you don't have time to do every single screen in every lesson, but what are some of the maybe the commonalities that you see? Especially with our average player, our club players that we're working with. Mark: ​Yeah, definitely. So I would say that at my academy, we mandate that everybody has to be physically screened the first time we see them. You create that culture, right? So our culture is we're gonna measure you on the front end, do our diagnostic work so we have a baseline and we have some benchmarking. So we screen everybody. It doesn't take you but five to 10 minutes max. But if I was going to the ones that I think are really always very evident that the club golfer can't do, so number one is the Pelvic Rotation Test. "People really struggle to disassociate. They can't separate their upper body from their lower body and so that's why most club golfers are very upper body dominant." They tend to start the club over the top because they don't have the ability to keep their upper body stable and rotate their lower body. ​I also like the Toe Touch Test to see whether somebody can hip hinge, also kind of gives me an idea about what their posture is probably going be like. If you can't touch your toes and you can't hip hinge... it's probably gonna be hard for you to dynamically get in your posture in your golf swing and then maintain it. Mark: ​I'm a big fan of the 90/90 test too. Jason: ​Yeah, me, too. Love that. Mark: ​That gives me an idea of how well your shoulder works and then how well it works in your golf posture. Most people don't have the necessary mobility and scapula stability in their golf posture but that's useful, right? Tells me a lot about ... Especially because it relative to us as golf professionals on how we control the club, the path, the plane, that directly correlates to a lot of shoulder movement. Mark: So the first part is always the connection, right? So in my sort of coaching codification, the first thing is always the connection with the student. You're trying to look at where they come from, their environment, a lot of the factors. So I'm big on the front part interviewing them, what are their goals, what are their aspirations. But at the end of the day what I'm really trying to get to is what's the shot that they want? What's the outcome that they want? So I always start with the end in mind and work backwards. So if they want to draw it or they want to fade it, that's significantly important to me because based on how they move, which I now know having screened them, I'm going to try to build something that is gonna give them a bias toward that ball flight.